*temporary publishing this article on this blog as the main site is under maintenance. This is a one week delayed update from Thero Block Constructed Gameday in Bacolod but I am still going to post this just to inform you guys. 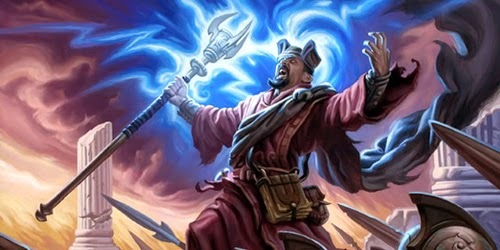 The deck that I have decided to pilot was Esper control primarily because of my familiarization of archetype in Standard, whereas my teammate Oliver played Chapin’s Junk Midrange champion deck from the Pro Tour. Based from the two lists I’ve posted on Part 1, my final build was somewhat their crossbred. This lot of one-ofs makes my sideboarding open against most of the deck archetypes in the Block, though more of the cards listed were for aggro matchups. The trip to Bacolod was an ordeal for us. We went to the ferry port late around 10am thinking there was a normal scheduled trip for the three fast craft companies. We then found out that Supercat canceled their trips for the rest of that day and people were scrambling to buy tickets at Ocean Jet. I arrived seeing people lining up while crowding the ticket booth. I immediately called Oliver for the plan B of going to the Dumangas Roro port. With an extra expense and deal with the taxi, we eventually got ourselves going to the town and we arrived at around 11:20am. A lot of people were also there lining up to buy tickets for the next scheduled trip at 12 noon. We had no choice but to line up and endure the heat while hoping that we can be included as passengers of that trip. The line started moving around 30 minutes later and we then finally bought our tickets and got on the Roro ferry before its departure. The trip was two hours and we arrived just five minutes before 2pm, the scheduled time of the Gameday tournament. Good thing we had Erson as our contact at the venue and told him that we’ll be a little late. We got the venue at Island Spoon in Lacson Street ten minutes later, and with no time even for a quick lunch. We just did the final double checking of our decklists and sideboard. There were around 22 participants, so that means a five-round tournament expected. Pairings were announced for Round 1 and we wished each other good luck and hoped for Team Iloilo to win. It was satisfying that the deck performed well against Junk and Red Green which I initially presumed that I will be far behind fast mana accelerators and early planeswalkers. My cards curved perfectly well and answered their threats at the right turns. Thoughtseize helped a lot in determining their sequence of plays and my turn-by-turn decisions as well. I got first in the rankings after the 5 preliminary rounds. I will cut this part for now so I can discuss in detail my quarterfinal matchup and the turn out of the Bacolod Gameday event. Also, I will share how the Iloilo community welcomed this format with its first Theros Block tournament yesterday. Thanks for the reading and until next post.